once the ball comes to rest on the green we must learn to putt. the green. As you can see, the task of playing golf is an involved process. hole, then rolls the rest of the 75% of the way to the hole. of the way to the hole and rolls the rest of the way to the hole. valuable and accessible shot to play. 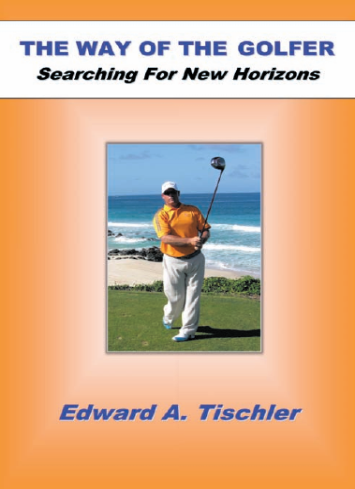 For this shot the golfer may use "Clip-Hole" as his swing-saying. softly and stops very quickly. Upon landing the ball either hoops and stops, or simply stops with very little roll out. stroke is intended to accomplish. can build on either the "tossing" action, the "clipping" action, or the "cutting" action. play clipping versions or cutting versions. with a tossing action in the forward stroke. 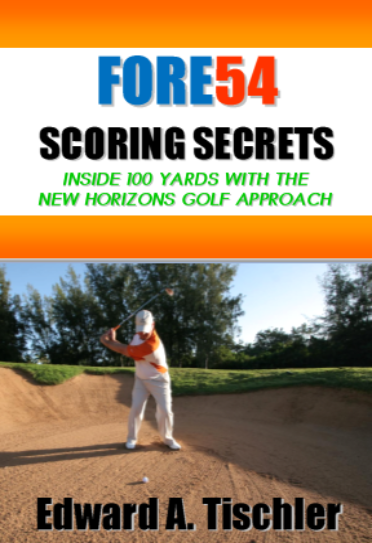 These shots are generally used in the 30-60 yard range. "Swing-swing"
Horizons Golfers call the control shot. In the scenario discuss above it would be played 100 yards. to our own particular needs. 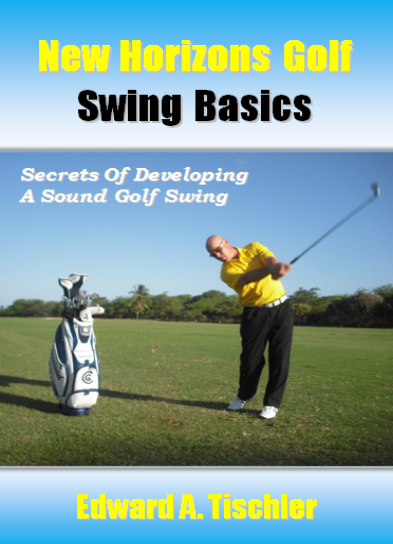 longer to say, so it encourages a longer stroke; something that is appropriate intuitively for the longest clubs. 7 irons, "Swing-Back Turn-Finish" for the 6, 5, & 4 irons, and "Turn-Back Sweep-Finish" for the sweeping clubs. Whatever the case, notice the progressive nature of using swing-sayings in this manner. simply click on the icon below each book that matches the name of the book. Good luck, and go out there and find your shots!! 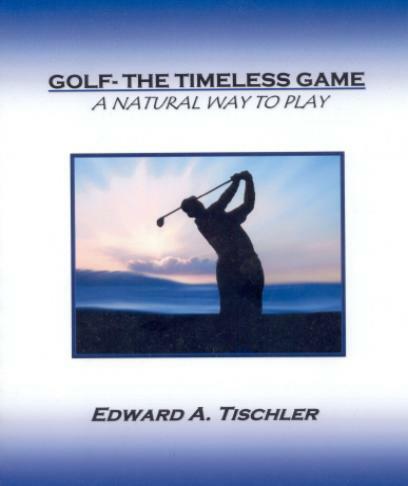 The Way Of The Golfer. address Stage 4 playing the game skills. pressures of playing the game. below. Remember to provide an email address.